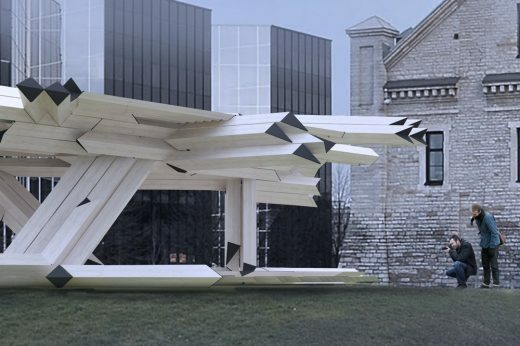 Digital Building Blocks (Gilles Retsin Architecture) timber installation is soon ready to be installed (with the help of skilled volunteers) in front of the Museum of Estonian Architecture. 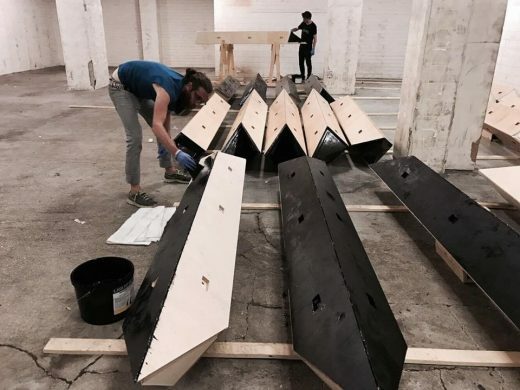 Installation Exhibition is curated by Sille Pihlak and Siim Tuksam /PART/. TAB Curated Exhibition “Anthropocene Island” staged at the Museum of Estonian Architecture, features artists, architects and scientists invited to collaborate on recomposing the peninsula of Paljassaare as a bio-informational matrix embedded into an assemblage of hard and soft systems, and arranged into a multi-layered architectural apparatus. Exhibition participants include: ecoLogicStudio, Rachel Armstrong, Noumena, The Urban Morphogenesis Lab, The Institute of Advance Architecture of Catalunia (IAAC), Alisa Andrasek and Marcos Cruz (BiotA Lab), Maj Plemenitas, Appareil, Heather Barnett and Studio Unseen. TAB 2017 Head Curator is Claudia Pasquero. TAB2017 bio.school includes the latest work of academic institutions that teach architecture in various parts of the world. The bio.school exhibition is presented as a poster exhibition in Balti Jaam pedestrian tunnel. TAB 2017 International Schools’ Exhibition is curated by Veronika Valk and co-curated by Merilin Kaup. TAB 2017 PASS owners free entrance! Symposium 1-day ticket 35€ / 2-day ticket 55 €. TAB 2017 Satellite Programme now open for proposals! TAB 2017 is looking for architects, artists, urban designers, biotechnologists, ecologists and others to take part in the International Satellite Programme. The Satellite Programme offers an opportunity to showcase exhibitions, lectures, installations and other events in various locations in the heart of Tallinn during Tallinn Architecture Biennale 2017 from the 13th of September until the end of September. 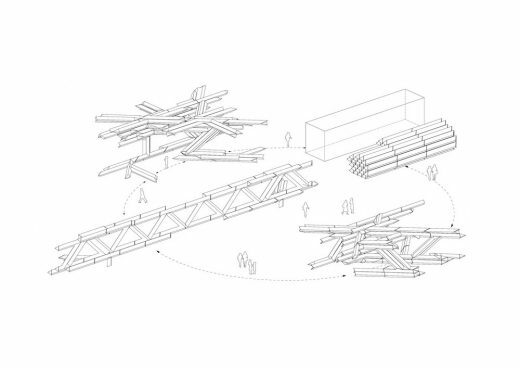 TAB Satellite Programme welcomes project or event proposals that either reflect or involve the topic of bioTallinn, or deal with current topics in architecture or urban field. This is an opportunity to be part of TAB 2017 official programme. • Short description of the project / event (max 1000 characters). • support with promotion and international communication as part of TAB Satellite Programme through TAB official channels. TAB team accepts proposals until the 1st of June; proposals are processed in the order they arrive, and feedback given quickly by the end of June, the latest. REMINDER: Get your TAB 2017 Pass now – Early Bird offer! The TAB Pass at an Early Bird lower price is available until the 30th June 2017. Architecture lovers with especially big hearts are welcome to opt for the TAB Supporter Pass and support the organisation of one of the key architecture festivals in the region. Get your TAB 2017 PASS online at Piletimasin or on location at Estonian Centre of Architecture (Põhja pst 27a, Tallinn, info@tab.ee). 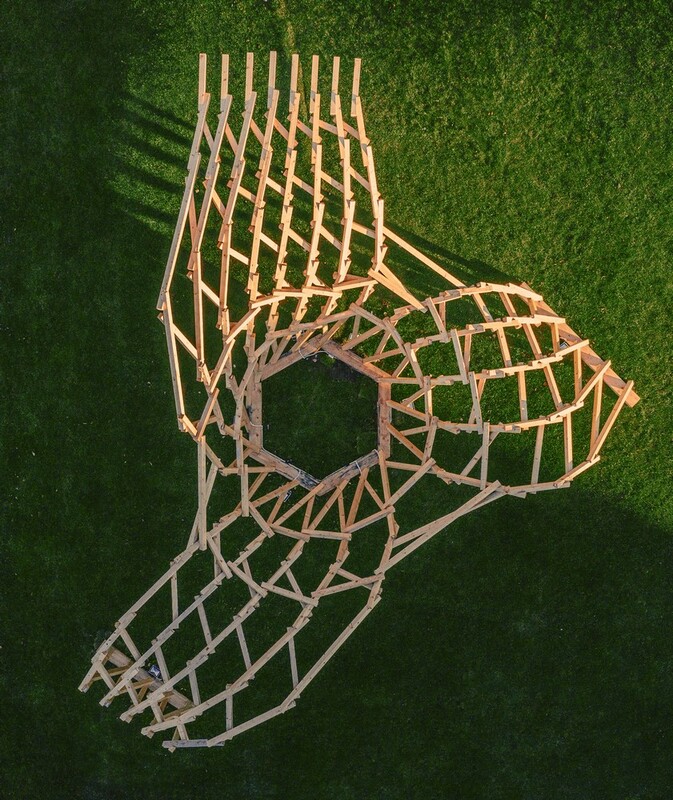 28th February 2017 – Tallinn Architecture Biennale TAB 2017 is happy to announce Belgian architect Gilles Retsin as the winner of the international TAB Installation Programme open call. The jury selected the winning work from among 16 proposals to build a wooden installation in Tallinn for the biennale in September this year. 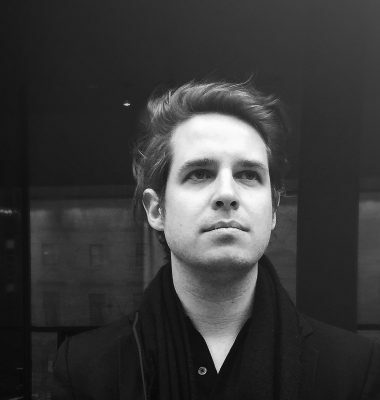 The winning proposal is characterized by outstanding aesthetic and is intellectually challenging, as it questions current beliefs and trends in architecture, says jury member Martin Tamke (CITA KADK). 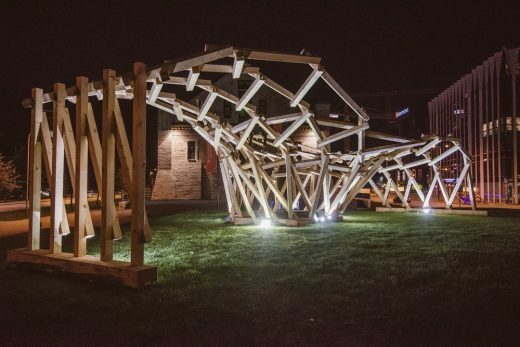 The international open two-stage competition challenged participants to develop creative designs for a temporary outdoor installation, making innovative use of the fabrication capacities of the Estonian wooden house manufacturers. The call raised wide international interest, 200 portfolios were submitted for the first round from all over the world. 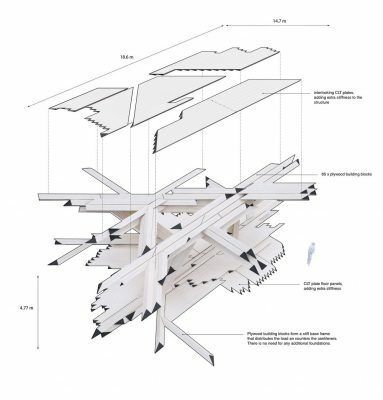 16 architects/teams were selected for the second round by the jury, with final design proposals submitted by February. The TAB 2017 Urban Installation Jury members included TAB 2017 curator Claudia Pasquero, computational design and materialization specialist Martin Tamke from CITA KADK, and the head of Estonian Museum of Architecture, Triin Ojari who were supported by Curators of the TAB 2017 Installation Programme, architects Sille Pihlak and Siim Tuksam. 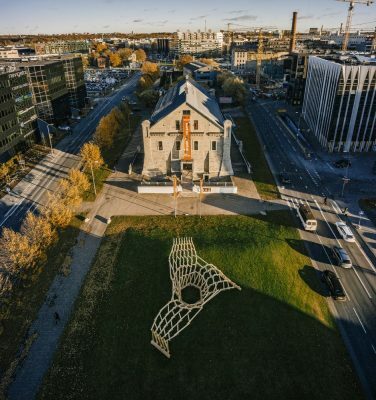 Tallinn Architecture Biennale TAB is an international architecture festival which introduces local architecture culture, current issues concerning architecture, and looks at the future of the architectural profession. TAB offers a programme of events for both architecture professionals, students and everyone interested in architecture. 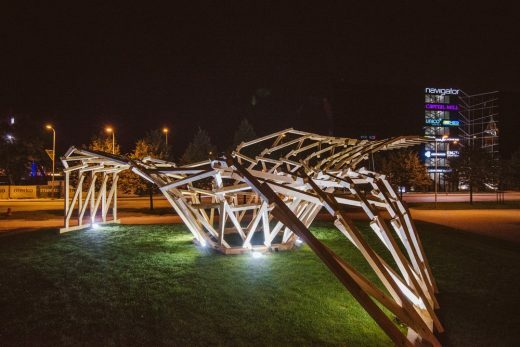 Within TAB 2015, an installation titled Body Building, designed by Pihlak and Tuksam was erected in Tallinn, becoming an inspiration to a separate TAB 2017 programme. 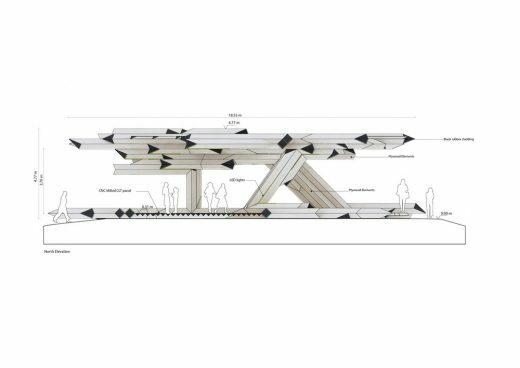 TAB 2017, titled bioTallinn, looks at the intersection of biology, computation and urban design; we will undertake a non-anthropocentric investigation of the city of Tallinn, conceived as a territory of self-organisation and co-evolution of multiple dynamic systems which are at the same time ecological, infrastructural, technological, social and political in nature. TAB 2017 explores the notion of ‘collective intelligence’ as it has recently emerged in scientific studies of nature, in order to envision a resilient and adaptive interpretation of the city. 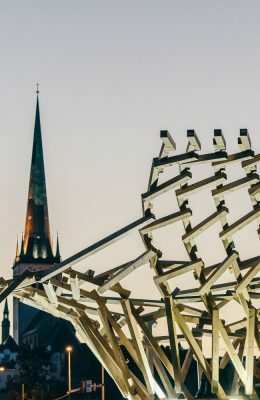 The curatorial team will invite local as well as international artists and scientists to engage with this notion through original works that will inspire visitors with a vision of the city as “new nature”, conjuring scenarios of urban symbiosis and co-evolution. Biennale’s curatorial team is led by Claudia Pasquero and the event is produced by Estonian Centre of Architecture. October 24th 2016 – The TAB 2017 Urban Installation Open Call 1st stage received 200 portfolios from emerging architectural talent who are looking to capture the opportunity to design and build an experimental wooden folly in the heart of Tallinn in August 2017. The international open two-stage competition is challenging participants to develop creative designs for a temporary outdoor installation, making innovative use of the fabrication capacities with the Estonian wooden house manufacturers. The aim is to promote synergy between emerging designers and industry. The Call raised wide international interest, bringing in entries from India, USA, Hong Kong, Italy, France, The Netherlands, Latvia, Japan, Austria, Germany, UK, Russia, Denmark, Estonia, Poland, Spain, Mexico, United Arab Emirates, Sweden, Bulgaria, Turkey, Chile, Australia, Canada, Greece, Portugal, Venezuela, Georgia, Israel, New Zealand, China, Iran, Slovakia, Cameroon, Cuba and Lithuania. 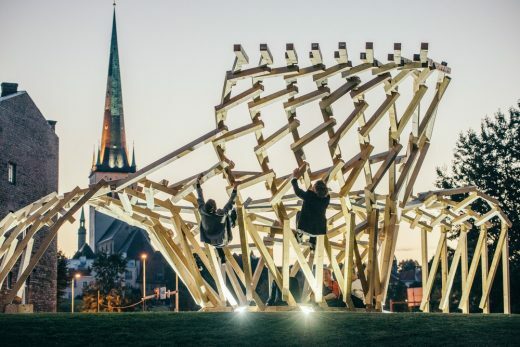 September 19th 2016 – Tallinn Architecture Biennale 2017 is announcing TAB 2017 Urban Installation Programme Open Call, offering emerging architectural talent the opportunity to design and build an experimental wooden folly in the heart of Tallinn. The competition has two stages – digital portfolios can be submitted for the first competition stage until October 15th 2016. The jury of the competition is led by Michael U. Hensel from the Oslo School of Architecture and Design, one of the key players in the field of sustainable architecture; other jury members include TAB 2017 curator Claudia Pasquero, and the head of Estonian Museum of Architecture, Triin Ojari. 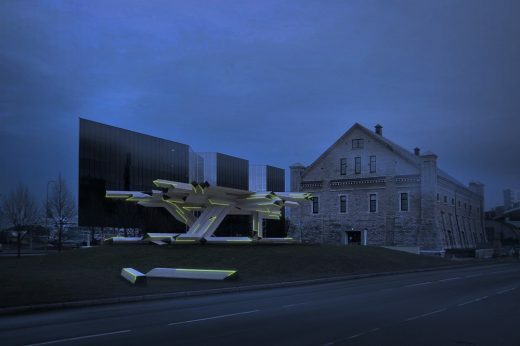 The folly will be built in August 2017 in front of the Estonian Architecture Museum in Tallinn, on an all-grass area, with a flat area of 17x17m on top of a slightly elevated area. 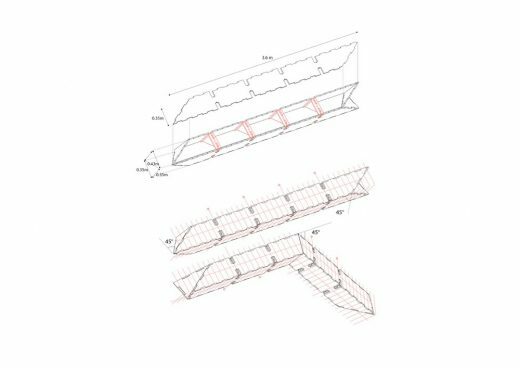 Penetrative foundations cannot be used on the site; the folly can have a maximum height of 5m and should have a lifespan of at least 23 months. Participants are asked to use local sustainable material – timber – and winners have a chance to co-produce it with local timber industry, where there is machinery available for lam-wood, 5 axis CNC milling for timber or planar surfaces, lasering, etc. 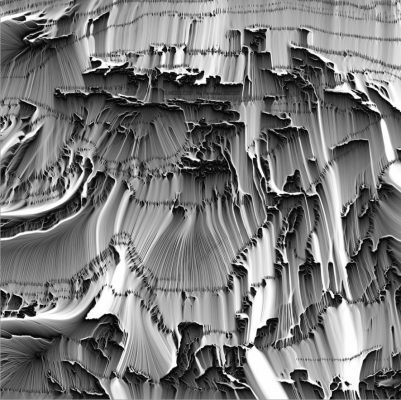 The use of local industrial CNC capabilities is encouraged. Further information and terms of the competition can be found at www.tab.ee, where digital portfolios can also be submitted until 15th October 2016 to enter the first stage of the competition. • 13 to 17 September 2017 – opening with exhibition, book launch, symposium. All entries qualified for the second stage will be published and exhibited at TAB 2017. The winner will have a 10000 € budget to realise the project. 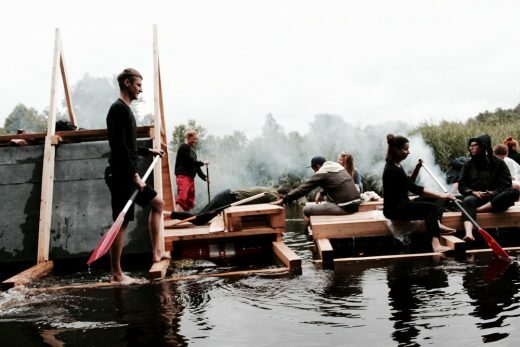 Tallinn Architecture Biennale TAB is an international architecture festival which introduces local architecture culture, current issues concerning architecture, and looks at the future of the architectural profession. TAB offers a program of events for both architecture professionals, students and everyone interested in architecture. 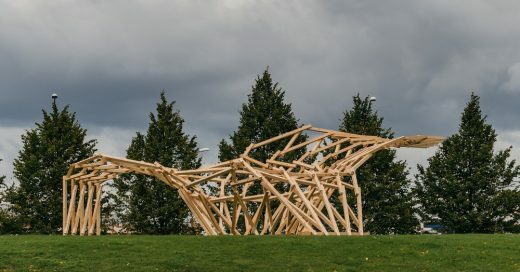 Within TAB 2015, an installation titled Body Building, designed by Pihlak and Tuksam was erected in Tallinn, becoming an inspiration to a separate TAB 2017 programme. TAB 2017, titled “Bio.T.A.llinn” proposes a radical revision of the contemporary ‘urbansphere’ by suggesting novel terms for its sustainable co-evolution with the biosphere. 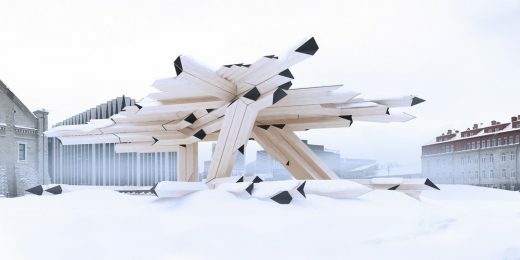 TAB will showcase visionary models of urban development that respond to principles of biological self-organization, and that operate by embedding computational logics onto material substrata, the embodied algorithms of the future bio-city. TAB 2017 curatorial team is led by Claudia Pasquale and the event is produced by Estonian Centre of Architecture. 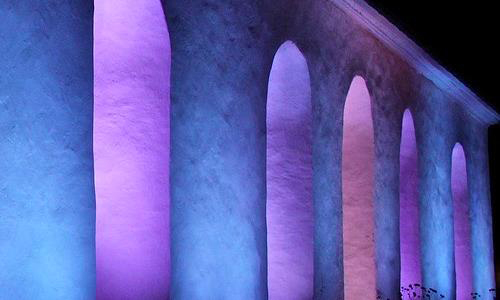 Dozens of light installations will shine in the heart of Tallinn from 24th November to 1st together with exhibitions and lighting workshops by international light artists at the first ever Tallinn Light Biennale. 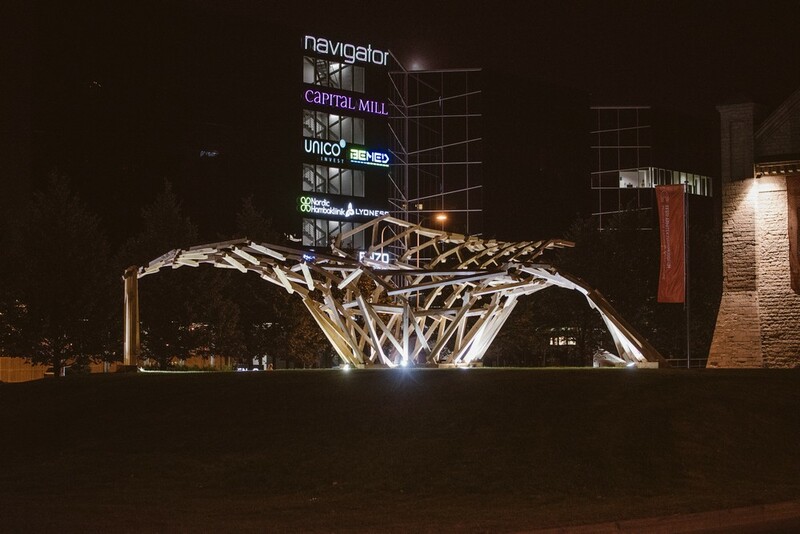 The previous light festivals focused on light installations in the public space while the first biennale will add an international reach to the event by creating a meeting place for international lighting professionals who will lead workshops and present their artwork. Matthieu Tercieux hosts a workshop of human mapping “You are here…Somewhere else” already prior to the biennale opening in the atrium of Viru Keskus shopping centre from 22nd November. The biennale opens with workshops and exhibitions in the heart of Tallinn on the 24th November. The TAB 2013 Vision Competition organised by the Estonian Architecture Centre and the City of Tallinn invited architects, landscape architects, urbanists, and university students in these fields to propose ideas and methods, with which to diversify Väike-Õismäe’s urban space and create an enjoyable living environment. The competition attracted 89 entries from all around the world, 86 of which were submitted on time. The jury members Bjarke Ingels (BIG, Founding Partner), Endrik Mänd – (City of Tallinn, Chief Architect) and Inga Raukas – (Allianss Arhitektid, Founding Partner) made their decisions already in May. 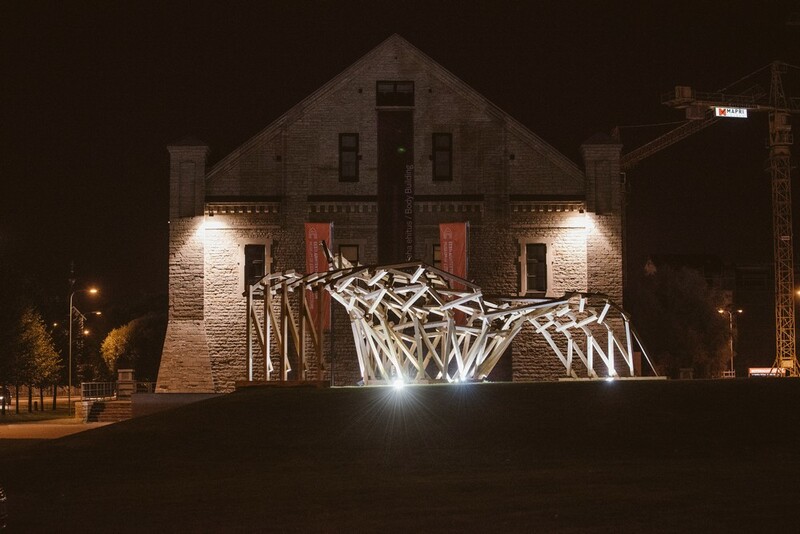 TAB Tallinn Architecture Biennale main exhibition “11FLIRTS” at Kadriorg Palace, Tallinn, opens during the Gala of TAB Tallinn Architecture Biennale on the 9th of September, and remains open until the 25th of September. 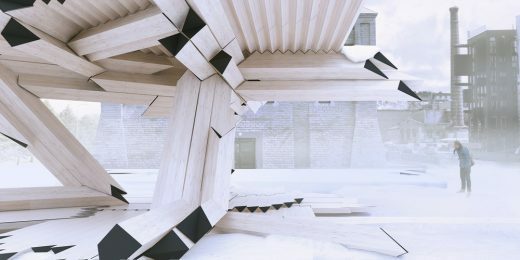 “11FLIRTS” deals with experimental architecture and relates it to the context of an existing Baroque palace and art museum.